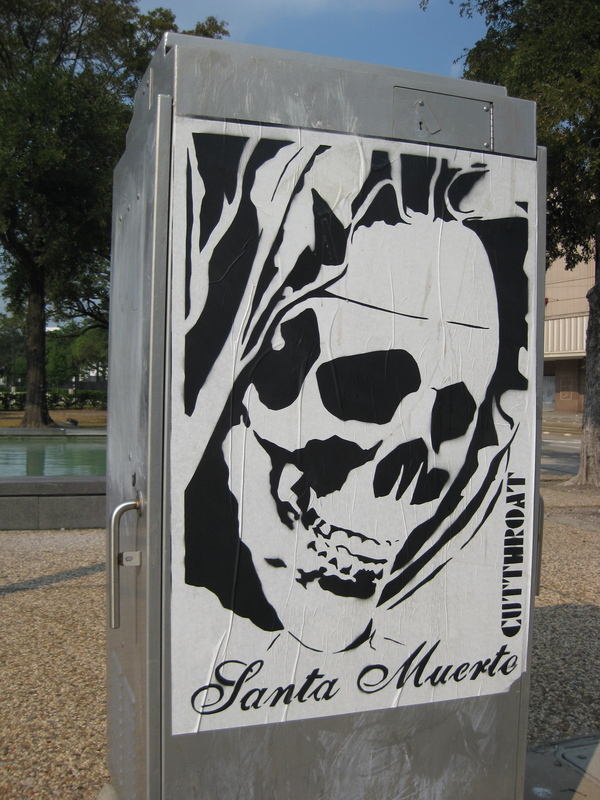 An artist by the name of Cutthroat pastes Houston city streets with posters. After noticing a few of his posters on corner electric boxes throughout the city, I decided to do some mild research on the artist to see if I could get a sense of his spiritual beliefs. I found little info online, other than a few other posters on Flickr and an interview on artist views of street art. Nevertheless, I wanted to mention these two posters that recently caught my attention. 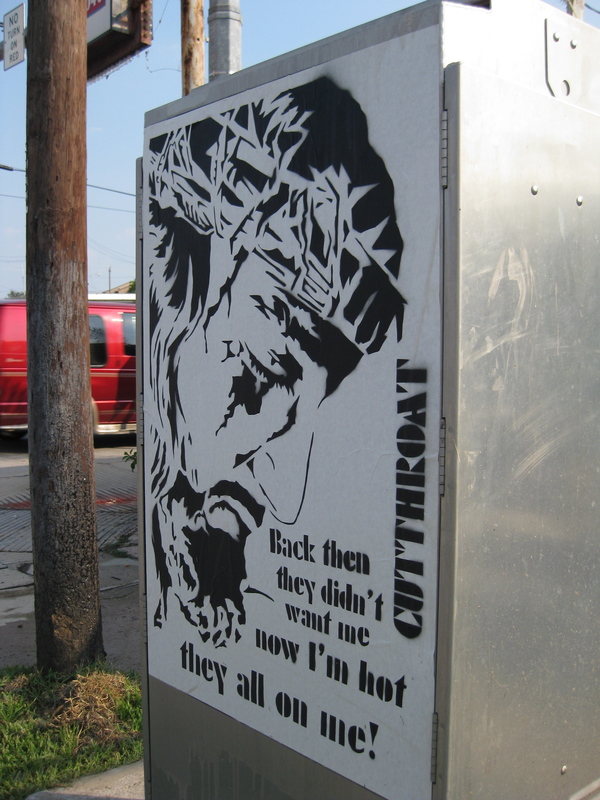 I don’t know much about street art here in Houston or Cutthroat’s intent in all his art, but if he wants to publicly display posters of Jesus around the city, then I’m all for it! April 3, 2012 UPDATE: The Santa Muerte poster on Wheeler was stripped down several months ago and replaced with the “they all on me” poster of Jesus. Yes, all our sins were upon Jesus. Receive His gift of love by the precious blood of Christ.